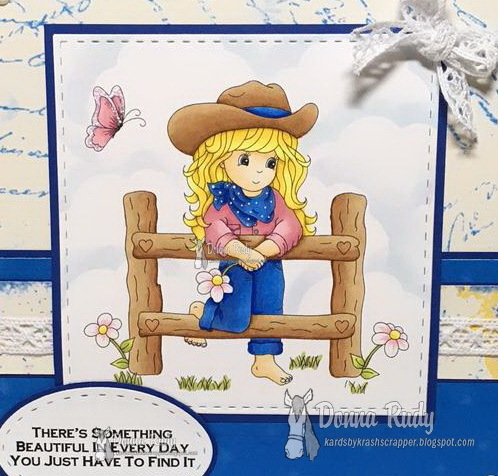 I have had this digital Stamp called "Beautiful Day" for quite awhile and I have been just waiting to colour her up. 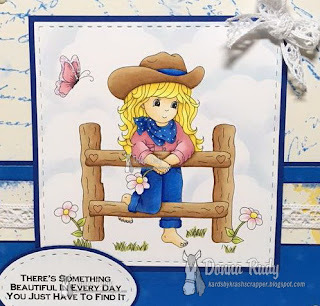 This adorable young lady is from Miss Daisy digital stamps and is one of my favourite stamps! I have used digital paper on this one too - so fun! 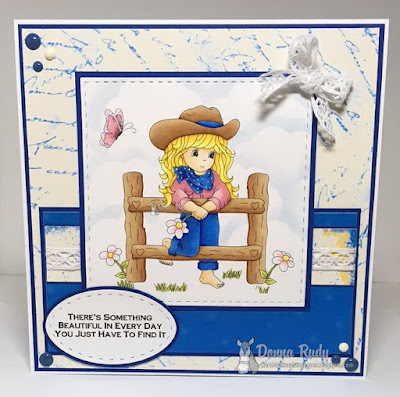 I started by printing off my stamp and colouring her with alcohol markers,and cut her out using a stitched rectangle die. Next I printed off the digital paper I wanted to use, cut it to the sizes I needed and mounted it on cardstock. 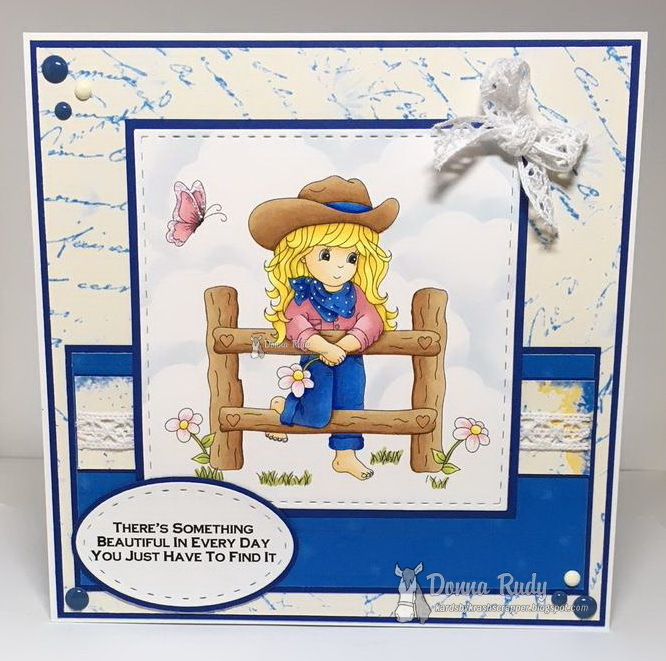 The sentiment is from the Beautiful Day sayings set and was printed and cut out using a stitched oval die. I added some clouds with baby blue ink and a dauber. Some crochet lace and gumdrops finish off my card. I hope you have enjoyed my post - your thoughts and comments are always appreciated. Thanks for stopping by! The blues on this card just pop!!! She is gorgeous! And your clouds..... you seriously need to teach me that!